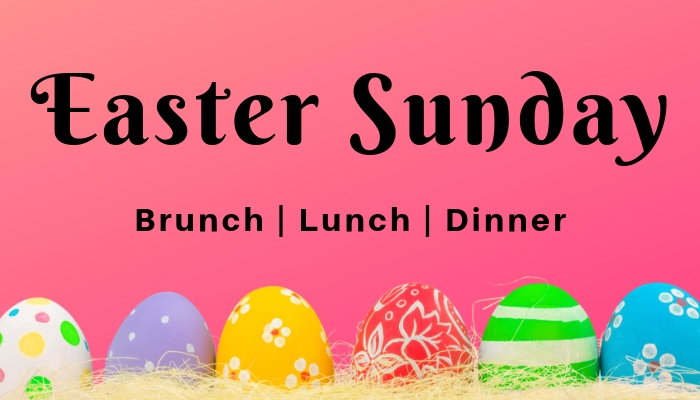 Enjoy Brunch, Lunch or Dinner with us on Easter Sunday at our Mattison’s locations. We will be serving your Easter favorites!! Made to order omelet station, crepe station, shrimp cocktail, smoked salmon, specialty salads and artisan cheeses, leg of lamb and ham carving station, chicken and fish, fresh seasonal vegetables, house cured bacon, sausage & gravy, 30′ wall of fresh pastries, breakfast breads, desserts and more!!! https://mattisons.com/wp-content/uploads/2019/03/Easter-Website.jpg 400 700 Mattison team https://mattisons.com/wp-content/uploads/2016/03/logo_restaurant-300x138.png Mattison team2019-01-21 12:42:202019-04-15 16:24:04Easter Sunday @ Mattison's!